CarbonIQ system joints are suitable for custom orthoses fabricated by your orthopaedic technician for partial or full leg paralysis. What makes the CarbonIQ knee and ankle joints special is the material. The joints are made from a high-performance carbon fibre-reinforced plastic material: That makes them extremely durable, strong and yet very lightweight and splash proof. The CarbonIQ knee joints are locked joints with a wedge lock, which is easy and safe to operate with only one hand using a pull-release cable. The lock in the joints clicks into place automatically when the user stands up with no danger of catching clothing or skin. 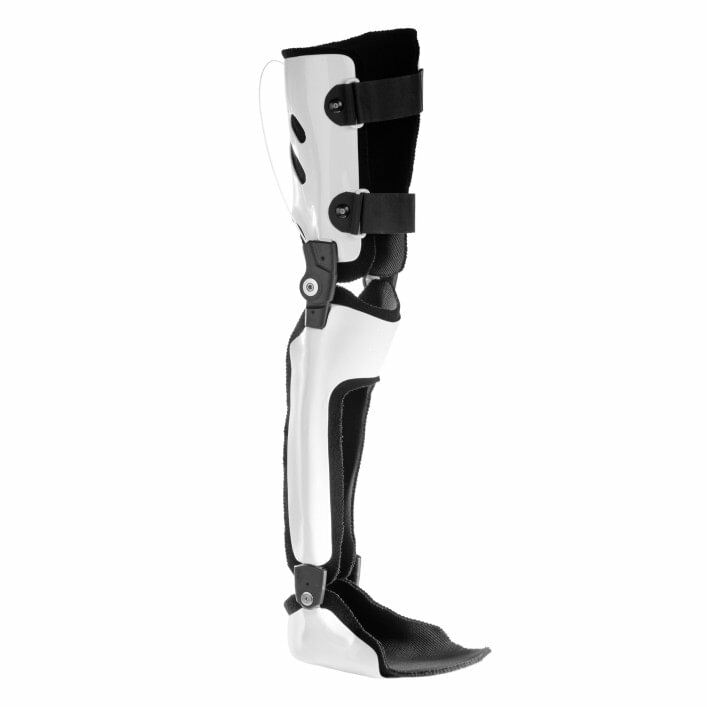 The ankle joints have a foot lifting effect and can be individually adapted to your needs by your prosthetist thanks to their numerous adjustment possibilities. 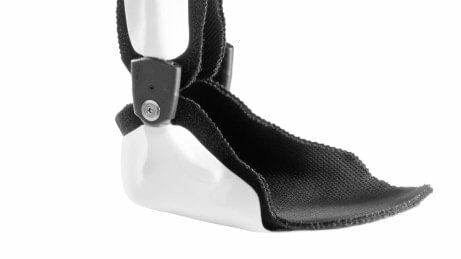 The CarbonIQ ankle joints have a foot lifting effect and can be individually adapted to your needs thanks to various adjustment possibilities. This ensures your orthopaedic technician can find the best fitting for you. The knee joint is locked and can be easily unlocked with one hand using a pull-release cable when you want to sit down. For maximum safety, the lock in the joint engages automatically when the user stands up – with no danger of catching clothing or skin. Resistance to splashed water is a benefit of the high-performance synthetic material used to make the CarbonIQ joints. This means a brief rain shower is no problem. CarbonIQ system joints just as durable as comparable metal joints – but considerably lighter. 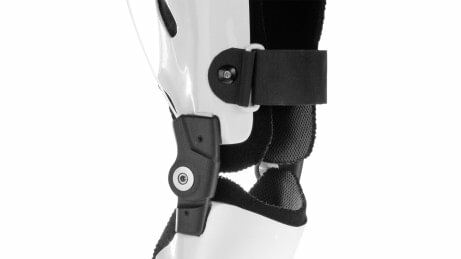 The CarbonIQ joint system consists of a locked knee joint and a multifunction ankle joint. Thanks to continuously variable range of motion limitation and its variety of adjustment possibilities, your orthopaedic technician can optimally adapt the system to your needs. The knee joints can be unlocked with a pull release cable for sitting down. The CarbonIQ joints are made from a high-performance carbon fibre-reinforced plastic, making them especially lightweight and splash proof.